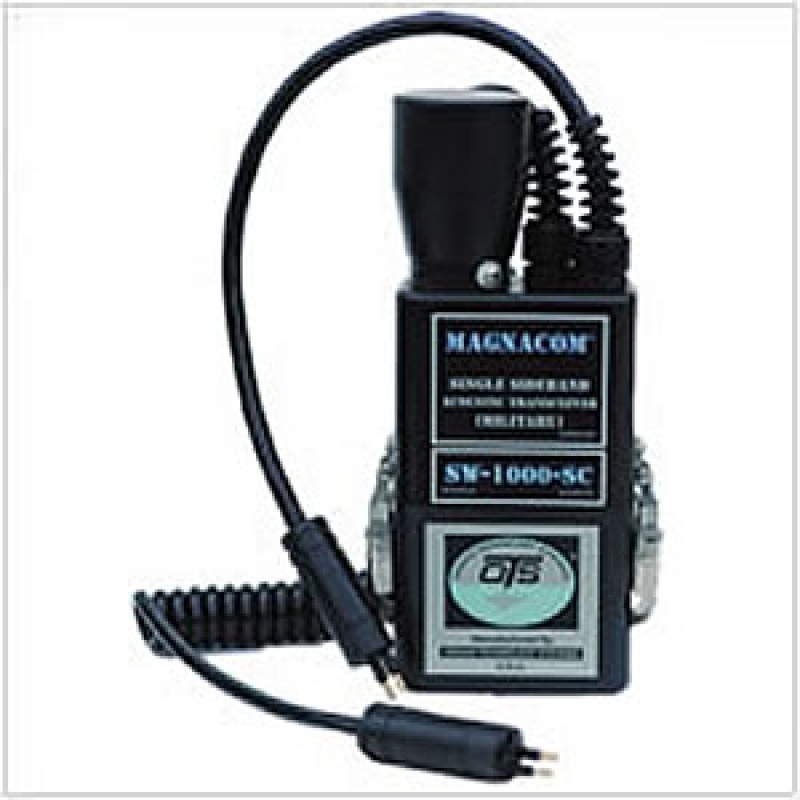 The Magnacom® SW-1000-SC is the most advanced, State-of-the-Art underwater communication designed to date. The powerful 70 watt transmitter ensures long range communications. The Secure Mode allows the users a secure way to communicate. This gives the Team the best of both worlds—through-water communications as well as diver-to-diver secure intercom. Furthermore, with the use of an optional specially designed Buddy Line, multiple divers can participate on the secure line! It is similar to the Magnacom® Mag-1004HS designed for homeland security, however the SW-1000-SC features a sleep mode; and uses different frequencies. With an output power (PEP) of 70 watts, in ideal conditions, the Magnacom® SW-1000-SC has a range of 6000m. Channel A: 6,000m in calm sea, 1,000m in sea state 6. Channel B: 1,000m in calm sea: 100m in sea state 6. Note: Environmental variability such as that caused by biological noise and interference, thermoclines, etc., can reduce range. Assuming 10% duty cycle: 4 hours on high power channel A or 8 hours on low power B. 14 hours if on Intercom only. H: 8.50", W: 4.50", D:2.25"